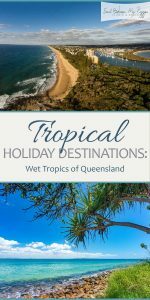 Dying to visit the wet tropics of Queensland? This holiday season is the perfect time to do so! Located in Australia, with a coastline that stretches across 7,000 kilometers, there’s enough space to relax and have some time to yourself. 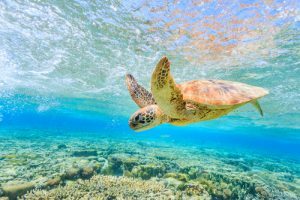 Queensland is flanked by epic sailing waters, lush rainforest, and a magical tropical reef. 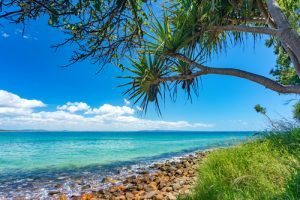 Get away today with a trip to one of my favorite tropical destinations, Queensland! When visiting the wet tropics of Queensland, most travel guides find it best to do so in December-Early January. This travel season coincides with the Australian summer holidays, making it possible to find many great travel deals! Not only that but traveling during this time usually means that you’ll enjoy days that are both milder AND dryer! Who wouldn’t like that? If snorkeling the Great Barrier Reef isn’t on your bucket list, it definitely should be! The Great Barrier reef is home to exotic coral, fish, and other creatures. Not to mention, I think Nemo and Dory have been spotted swimming by once or twice! Pay for a guided tour, or be your own guide! I’ve heard that starting your solo adventure at Airlie Beach is the best way to see some gorgeous wildlife! 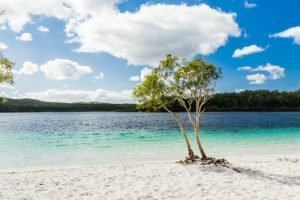 Located off the coast of Queensland, Fraser Island is the worlds largest sand island. Guests can look out for some whales in Hervey Bay (known as the whale-watching capital of the world!) or go fishing on the islands famous 75-mile sand beach. When you explore a beach that big, you might not even see another tourist! 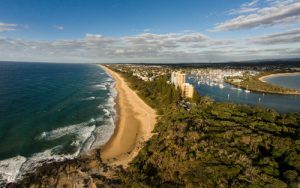 If you are looking for a great time and a wonderful holiday, stay at one of the resorts on the Sunshine Coast! 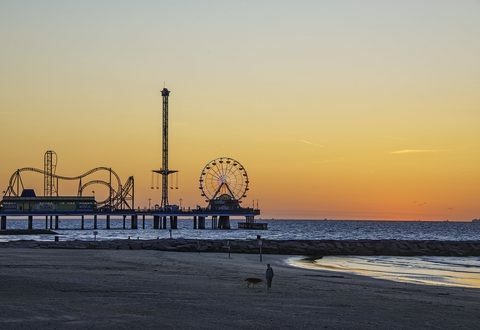 Not only are there wonderful attractions spread out along the coastline but there are also wonderful restaurants, landmarks, and killer surf spots! Once a month, there are festivals happening somewhere down the coach. This month, it’s the Swimming Festival, The Ginger Flower and Food Festival, and the Rip Curl Gromserch surfing competition! Looking for a good place to eat? I thought so! 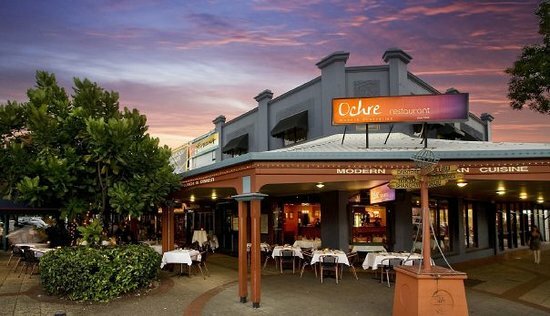 The Ochre restaurant is one of the highest awarded eateries in all the wet tropics of Queensland and even all of Australia! I’ve also heard that they cater, for anyone looking to enjoy a wedding here! Interested readers can find out more information here! 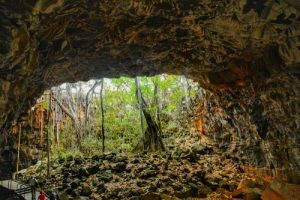 Outdoor enthusiasts everywhere would enjoy a trip to the Undara Lava Tubes! Located in Undara National Park, these gigantic lava tubes are thought to have formed over 190,000 years ago. There are even opportunities to explore the cave overnight, see this website for more information. Queensland is one of the best tropical destinations and it’s all due to the Wet Tropics World Heritage rainforest! The rainforest is the oldest in the entire world at 130 million years (wow, right?) and travelers can explore it via trail or Skyrail cableway! For many, the Skyrail is the easiest way to see the most mileage of the rainforest. 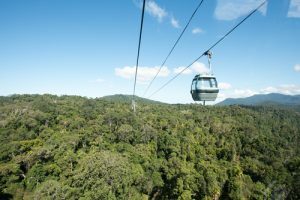 Or, if you’d rather, check out the Kuranda scenic railway to see things close up! Noose National Park is located in Queensland near the Sunshine Coast. The park is a wildlife refuge and you can see miles of protected eucalyptus and melaleuca forests. Sometimes, you can see dolphins in the ocean water surrounding the parks! I think that witnessing that would be such an incredible experience!